Students must pass an entrance examination. The test is exclusively based on a B1 level English language. The cost of sitting the examination is € 50, 00 (non-refundable). On the day of the examination, candidates are required to present a valid identity card. 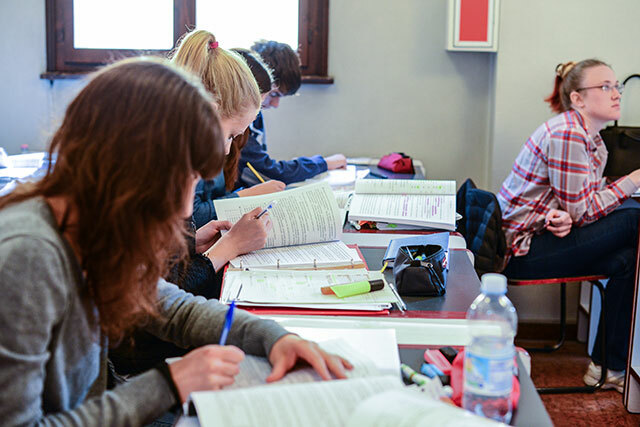 The examination is divided into a written part (with multiple-choice tests, grammar exercises, reading comprehension and sentences to translate) and an oral dialogue in English language. IN CASE OF EQUAL SCORES IN THE EXAMINATION, PRIORITY WILL BE GIVEN TO CANDIDATES FOLLOWING THEIR ORDER OF REGISTRATION. Candidates will find the examination test results on the home page.